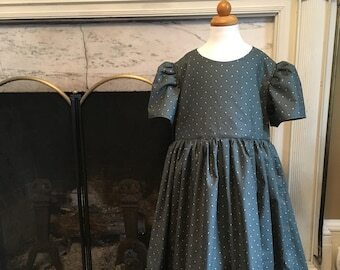 This custom, handsome, brand new historical dress was inspired by the 1860's style dresses which were known for their fully gathered skirts (this one is 88 inches around)- watch out for she will love to spin! 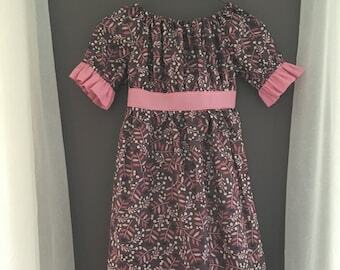 This girls dress will be a delight for your girl to be able to be like her forefathers. 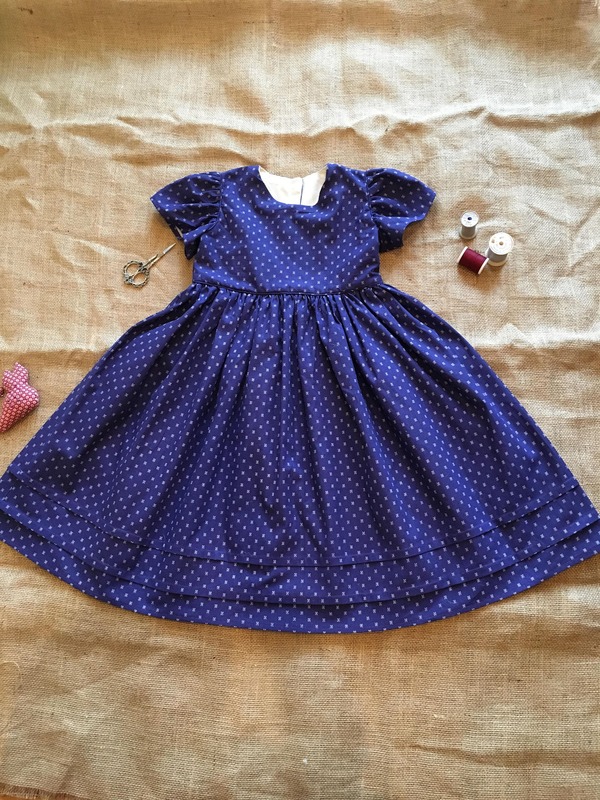 This dress utilizes a period correct plain pattern which works beautifully with the style. 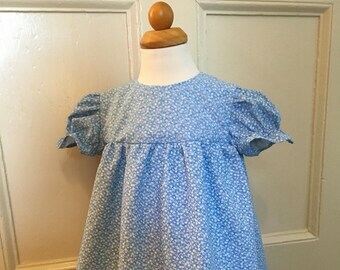 The bodice is fully lined, has beautiful puffed sleeves, and has piping around both the sleeves and the waist which adds that decoration to finish the dress off nicely (and are used historically for strength against everyday wear and tear). 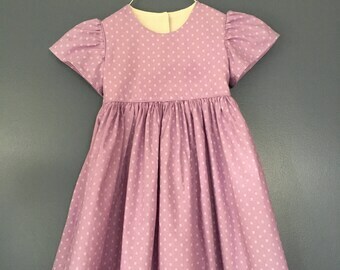 To her delight, all seams are enclosed or felted so it is very comfortable and her smile will be bigger then ever! 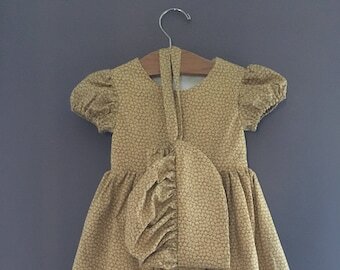 As you can see in the picture of the back of the dress, the buttons are on the inside. 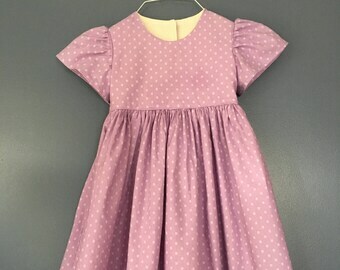 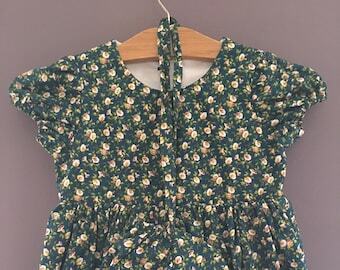 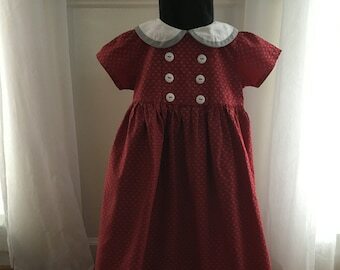 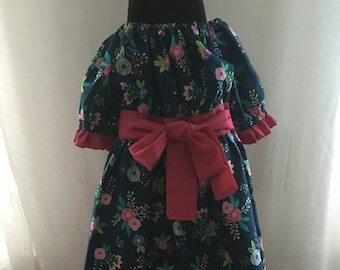 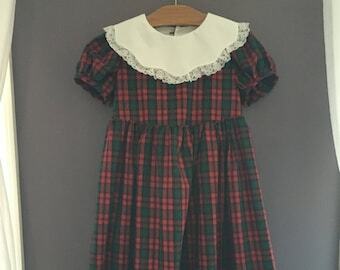 This handsome dress will be a memorial item in your young lady's childhood. 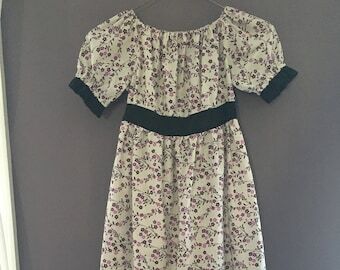 Although this dress is an authentic dress, it can also be worn for everyday purposes as well as reenactments, parties, gatherings and much more to add to her memories. 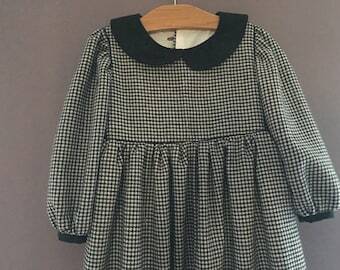 Available in all sizes from 18 months to girls size 14. 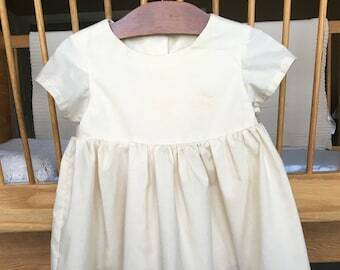 Handmade Clothing: All clothing is pre-washed in all natural, fragrance free laundry detergent, are 100% cotton, and made in a clean smoke free environment.